It's a non-event to all of you, but I was excited to graduate from physical therapy. 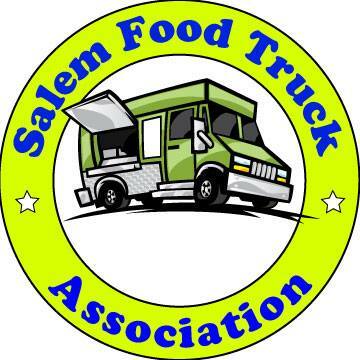 During my twice a week visits, the conversation amongst the crew and patients often turned to food--specifically, food in Salem. So, I thought, what better way to share my gratitude with the staff than to bring in a small selection of cookies from Little Cannoli Bakery. I was pleased to discover that scoring a parking spot downtown at 9am, is much easier than in the evenings. I was able to zip in and zip out in record time before my appointment down south. I bought containers of wee cobblestone pies, chocolate dipped macaroons and black and white cookies. During the last minutes of my appointment, I decided to head back downtown for a mini photo tour of our local homegrown bakeries. My first stop--Gerry Frank's Konditorei on 310 Kearney SE. Judging by the full tables most evenings, this must be one of Salem's hot spots for either an after a movie treat or meeting up with friends. Cakes are their specialty, but they also serve breakfast, lunch and dinner. It's nice to know there's still a place in town to share a pot of tea. Just a hop and a skip away (if you're in a car), I pulled into the parking lot at the City of Salem Library. I felt like I'd been caught in a time warp. When our daughters attended school, we often went to the library once or twice a week. I'm ashamed to admit, it's been a long time since I've stepped foot inside. It took me awhile, but I found Queen of Tarts Bakery downstairs by the Teen Scene. Even though it was early, a couple gentlemen who had the appearance of regulars, were comfortably settled into tables. I didn't see the dessert cases I'd heard about, so (with permission) I included a few photos taken by Queen of Tarts. I understand their hand pies are to die for. Last stop--Cascade Baking Co. on 229 State St (the end closest to River Front Park). They're known best for their breads and sandwiches, but they also carry a variety of desserts (mmm, lemon bars! ), Willamette Valley Cheese and a salad or two. I was excited to see that they now offer gluten free goods. I included a photo of their GF baking schedule in the slide show above. Don't forget to either bring cash or your checkbook when you pay a visit to Cascade Baking Co. I'd hate for you miss out on a loaf of either the roasted garlic or farmer cheese bread.